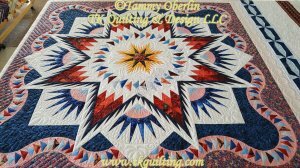 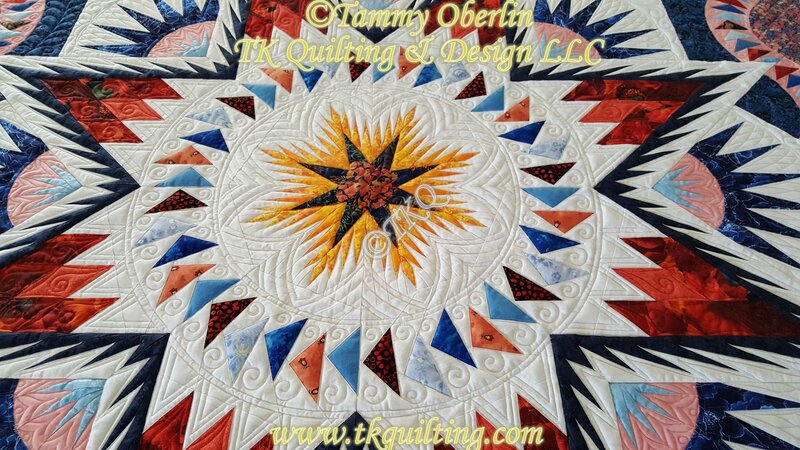 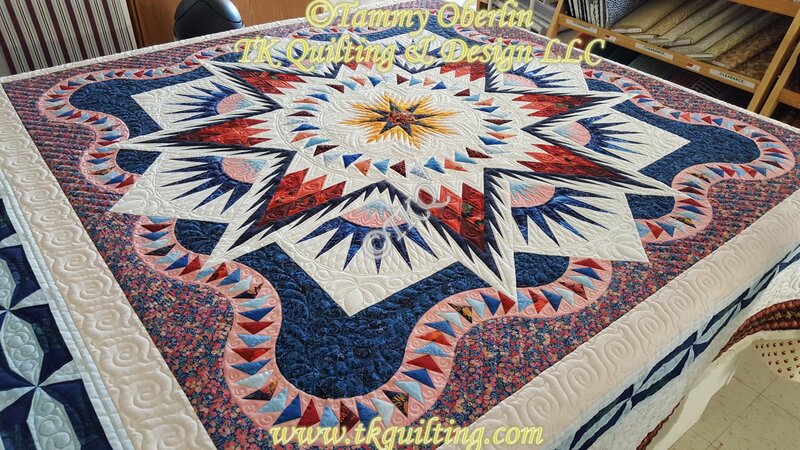 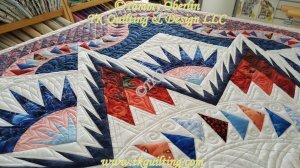 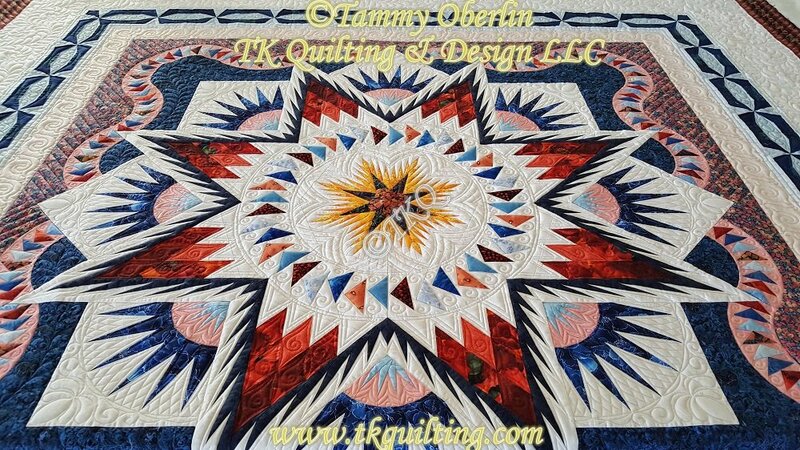 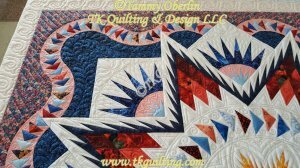 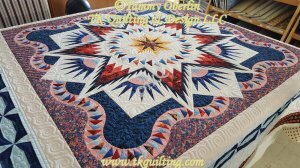 This was a customer quilt and one of my bigger challenges as far as choosing what to quilt on it. 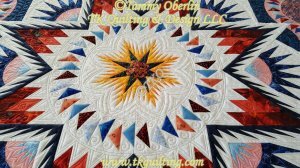 ;-) Martha did a beautiful job choosing fabrics and with the piecing. 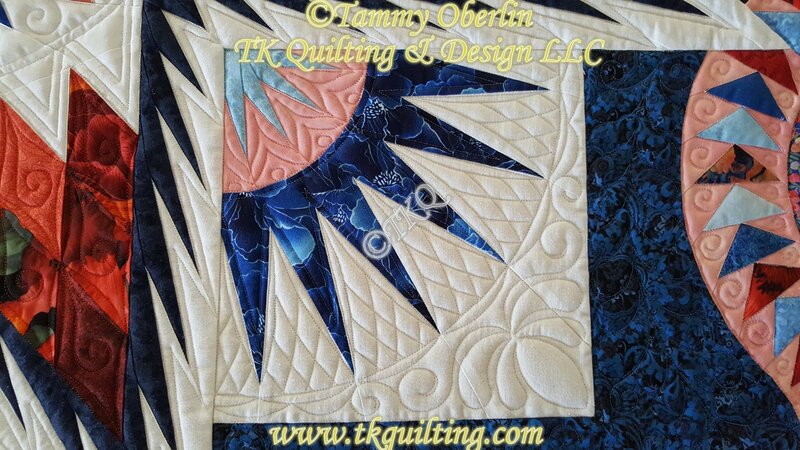 I modified one of my digital designs for the "fan" background, designed a P2P pattern for between the spikes and a feather pattern for the blue background areas. A lot of the quilting was done freehand and with rulers. Hope you enjoy the photos. 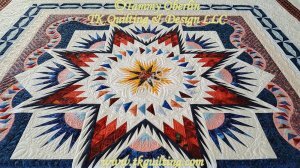 Some of the digital patterns I used are linked below. 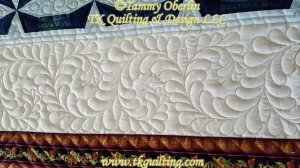 2329 Scrolling Feather Border 2329A Scrolling Feather Border Corner.